Lot Size: 13800 sq. ft. 116ft x 119ft "approx." Offering 3 Suites, living room, dining room, kitchen, and generously sized laundry room. As you enter the bricked interior courtyard, two of the guest suites are on your left while the third suite will be on the right. In the middle of the U-shaped house is where you will find the living room, dining room, and kitchen. Just off of the kitchen is the laundry room which can easily be made into a walk-in pantry. Just under 14,000 sq. ft. this lot location is at the end of a cul de sac and provides stunning views of the homes only community. Additional features include mini split air conditioning units, ceiling fans with light kits, and a double car garage. With a little personalization and TLC, this electric home will shine...Additional photos coming shortly! Sold Furnished and priced at $125,000... call Darryl & Michelle at Baja Sun Real estate to arrange a viewing! Vista del Mar is a Homes Only community with stunning mountain and Sea of Cortez vistas. RVs or trailers must be enclosed/garaged in this community. 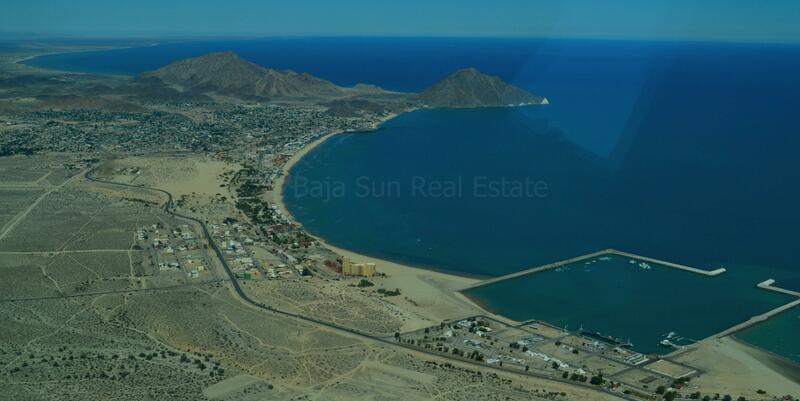 Listing Information, Photos, and Community Description is Exclusive Property of Baja Sun Real Estate, not to be reproduced or copied without Permission 2013-2018.